Smartwatches are taking over the market rapidly. Many mobile phone manufacturers have already presented their models of these cool gadgets and users seem to like these products a lot due to their practical and functional use. Apart from already known smartwatches from Sony and Samsung, today we would like to present MyKronoz brand that designs smartwatches with Bluetooth technology that connect your smartphone and more. All these watches are compatible with Android and iOS devices. Made in a bracelet style, this Bluetooth watch is aimed for the female audience. The sleek and sophisticated design and careful choice of colors (black, white and gold) will easily find its way to ladies into fashion. 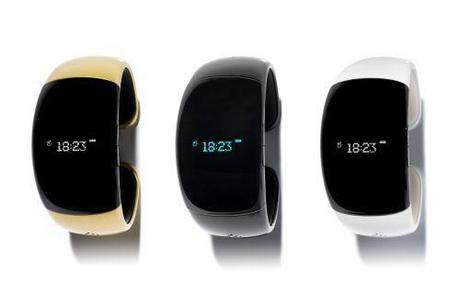 Far from being a simple gadget with attractive design, the smartwatch ZeBracelet offers a wide range of features. You can connect to your smartphone and make or receive calls, listen to music and, of course, know the time. 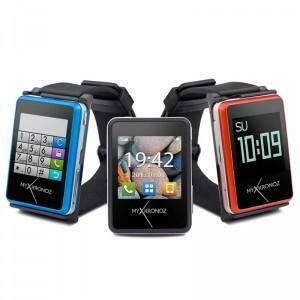 It is equipped with an OLED 128 x 32 mm screen and a Li-ion battery of 150 mAh that can take up to 72 hours standby. The dimensions of this stylish smartwatch are 38.5 x 80 x 12.5 mm and and it weights 45 g.
This is a “male” version of ZeBracelet, but not exclusively. If you prefer a real watch design, rather than a bracelet, this is a good solution for you. The ZeWatch has the same characteristics as the ZeBracelet except that it is more of a watch form and it comes in black, white and orange (instead of gold). 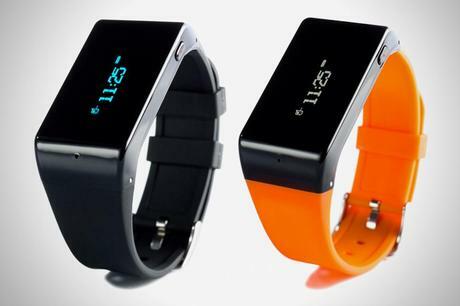 Both smartwatches vibrate to inform you that your phone is out of Bluetooth range (10 meters). Unlike the previous two devices, ZeNano looks like a regular watch the most. Unlike the other two models, it offers a touch keyboard on which you can dial a number and make a call. It also allows you to make a voice memo. ZeNano is a versatile accessory that can be worn in different ways: around the wrist, around the neck, hooked to a key ring or clipped to your cloths. You can change the ZeNano watch face to match it with your personal style.